GLOVERSVILLE — Timothy J. Conrad, 50, of 202 County Highway 102, was charged with driving while intoxicated by city police on Aug. 24 at 6:48 p.m.
City police responded to a motor vehicle accident where the operator fled the scene after crashing into a utility pole. Upon arrival, officers located the vehicle operator, Conrad, walking north on Easterly Street. During the course of investigation, police had reason to believe Conrad may have been driving under the influence. Conrad refused to perform a standardized field sobriety test and was subsequently taken into custody. Conrad was transported to the station where he was processed and held for arraignment. GLOVERSVILLE — Jayson R. Ackerneckt, 45, of 5 Freemont St., was taken into custody by city police on an active bench warrant on Sunday at 7:43 p.m. The warrant for Ackerneckt was issued out of City Court for failure to appear on a traffic related charge. Ackerneckt was processed and held for arraignment. GLOVERSVILLE — Duane J. Bronson, 33, of 6 N. Water St., was charged with disorderly conduct by city police on Sunday at 12:22 a.m.
Bronson was taken into custody by city police following a suspicious person complaint. During the course of investigation, Bronson refused to cooperate with officers and continued to yell and use obscene language despite being told several times to cease. Police say Bronson’s actions caused a disturbance, leading to his arrest. Bronson was later released with an appearance ticket to return to City Court at a later date. 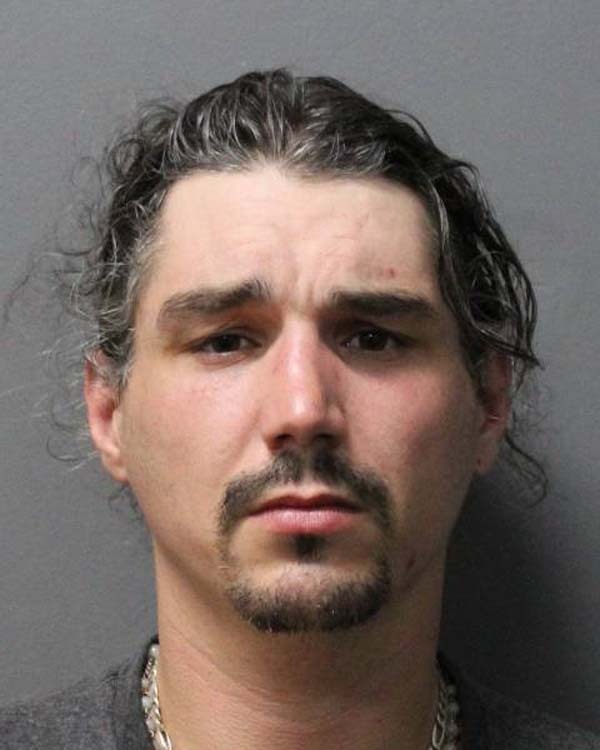 GLOVERSVILLE — Justin M. Fisher, 33, of Grand Street, was charged with third-degree attempted assault and aggravated family offense by city police on Monday at 7:40 p.m.
Officers responded to Grand Street for the report of a domestic violence incident. Upon arrival, police made contact with a female victim who stated that she was shoved down a set of stairs by Fisher. Fisher was taken into custody and transported to the station where he was processed and held for arraignment. During the course of investigation, officers learned that Fisher was previously convicted of a family offense within the preceding five years, leading to the aggravated charge. GLOVERSVILLE — Fredrick D. Senecal, 44, of 108 Yale St., was taken into custody by city police on an active arrest warrant on a charge of third-degree attempted assault on Monday at 4:04 a.m. The arrest warrant for Senecal was issued out of City Court stemming from an incident that occurred on Aug. 3 at 2:15 a.m. when Senecal allegedly attempted to assault another person. Senecal was taken into custody and transported to the station where he was processed and held for arraignment. AMSTERDAM — Jessie E. Sterling Jr., 46, of 32 Fort Johnson Ave., Fort Johnson was charged on Aug. 22 by Montgomery County sheriff’s deputies for second-degree harassment and criminal obstruction of breathing. Sterling was charged following a domestic dispute in which he allegedly engaged in a physical altercation with a female victim. He was arraigned before Judge Robert Arthurs in Town Court and is scheduled to reappear on Sept. 4.